Our office is proud to offer our patients the revolutionary Damon Braces System. Damon Braces don’t use rubber ties around your braces to hold the orthodontic wire in place. Instead, Damon Braces use a slide mechanism to hold the orthodontic wire in place. This reduces the amount of pressure exerted on the teeth and allows the teeth to move more freely, quickly and comfortably. Thanks to these innovative new braces, achieving your perfect smile can be faster and easier than you ever thought possible! Damon System treatment is typically up to six months faster than traditional braces. Its innovative design works 24 hours a day to straighten teeth and enhances your facial appearance. Damon System treatment requires fewer office visits than traditional braces and invisible aligners. That means more convenience in your busy lifestyle. Since it doesn’t use rings, Damon Clear is easy to clean and there is less area for bacteria and plaque to develop. Damon Clear is more than just straight teeth, but also takes into account your unique jaw, teeth and bite features. This results in straighter teeth and a beautiful smile and overall appearance. Check out the before/after photos! 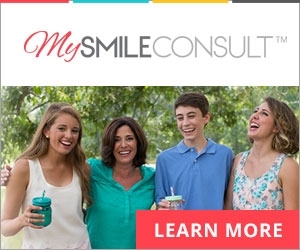 Click here for an online orthodontic consult! Contact us today for your complimentary orthodontic appointment. You deserve a confident smile!